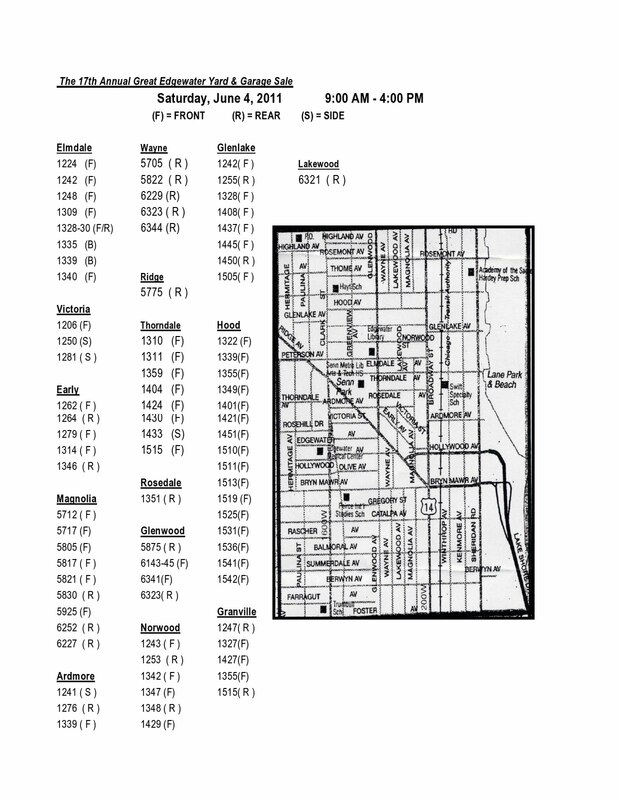 Map of Edgewater garage sale Reviewed by Edgeville Buzz on June 2, 2011 . Below is the map of participating residents in this Saturday’s Edgewater Neighborhood Garage Sale coordinated by the BARGE block club. Click the image to enlarge and print. Happy shopping!